KASO MARKETING INDIA is the Indian company engaged in Exporting and Supplying a wide variety of products world wide. Hand Made Rugs & Carpets. We take the opportunity to introduce “KASO MARKETING INDIA” as Manufacturers Marketing Representative company based in India,Coimbatore .We acts as a Manufacturer's Marketing Representative to export their goods and services to world wide at very competitive prices.Since we acts as a marketing manger for manufacturer then customer can able to get Price quote directly so no more price additional adds up involved.We focus our efforts towards sourcing some of the best products across worldwide and also export these products to other countries. KASO is a one stop shop for all importers.With our strong business associations with the International’s best suppliers, exporters and manufacturers dealing in a vast variety of products we bring the choicest range of products to our buyers offering them the best of designs,quality and prices.we are always working directly with manufacturer to avoid the traders’ mark-ups.Our manufacturer have good infrastructure and maintaining international standards to meet all customer requirements. Product Types: All types of Prints, Stripes, Checks, Dobbies, Jacquards, Polyester, Voile, organdy, organic cotton, silk & Natural fibre like straw and bamboo – 100% cotton and Linen. Kitchen Madeups: kitchen towel, owen Mitten,pot holder,double glove, apron,tea cozy,chef cap. Bed Linen / Hotel Linen : Bed Sheets, Bed Spread, Duvet, Duvet Cover,Pillow Cover, Quilt,Mattress Protectors, Pillow Cases,beach bed,pillow with micro fibre fillings. Living Items: Curtains, cushion covers, Cushions,sofa covers,chair covers, chair pads,door stopper. Bath Items: bath robe, bath towels,throws,shower curtains,hand towel,face towel,bath mat. Dining Items: Table cloth, placemat, table runner,bread basket,napkins. Natural products – Straw,Bamboo & Jute (table mat & runner). Floor mats, Denim bags, Shopping bags,Toys, Yoga Cushions. Europe - Sweden, Italy, Denmark,South Africa, UAE, Australia, Cannada, USA & Some Asian Countries. USA, Brazil, Australia, South Africa, Denmark,Finland,Sweden and Germany. 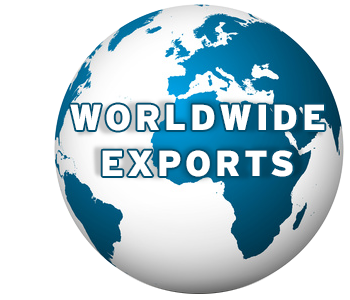 Indian exporter, Indian Importer, Indian Suppliers, Indian manufacturer, Asian exporter,Asian companies, indian companies,export companies in India.best export companies in India,tamill Nadu, exporter,Asia Sourcing, India Sourcing, India Procurement, India Sourcing Company, India Sourcing Service, Sourcing Agent in India, China Procurement, China Sourcing, China Sourcing Company, China Sourcing Service, Global Sourcing Services, India Sourcing Office, Low Cost Country Sourcing, Procurement Service Provider, Sourcing Agent in China, Supply Chain Intelligence,south India Sourcing, Mumbai Sourcing,, Supply Chain Procurement, Global Procurement, best buy, export, import home indian products export, quality, quality assurance, exporter, freelance,, inspection in quality control, textile, american apparel, cheap cheap cheap clothing, manufacturer, Sourcing agent india,customer service company, client service,merchant exporters,merchandise, buying office in India,home textiles buyers.